Samsung has recently pushed out android 4.2.2 update for the Galaxy Tab 2 7.0 P3110 Wi-Fi. Its a good news for the tab 2 users who were waiting for this update since a long time. Samsung has recently launched the android 4.2.2 update for galaxy tab 2 7.0 p3110 with some good UI enhancements and improved battery performance.The launcher of Samsung galaxy tab 2 7.0 Wi-Fi is inspired by galaxy S4. However the android 4.2.2 update for galaxy tab 2 7.0 Wi-Fi is officially available in the UK region only. So UK users can update their galaxy tab 2 either via OTA updates or Samsung KIES. If you live outside of UK region then you can still update your galaxy tab 2 p3110 with the official android 4.2.2 XXDMH1 firmware by reading the step by step tutorial that I will teach you here. Dedicated customizable notifications panel in the status bar. Widgets and launcher inspired from Galaxy S4. Before you update your galaxy tab 2 7.0 p3110 to the latest android 4.2.2 you should follow the below mentioned guidelines carefully to avoid data loss and unwanted damage, as failing to do so can cause serious damage or data loss to your tablet. Backup entire data stored on your tab 2 7.0 either on your pc or a usb drive because during update process the entire data will be wiped. To connect and backup data on a usb drive from your tab 2 7.0 see this article. Use android assistant or androzip to backup android app apk's. Later you can re-install them. Remove sd-card after making a backup of it. 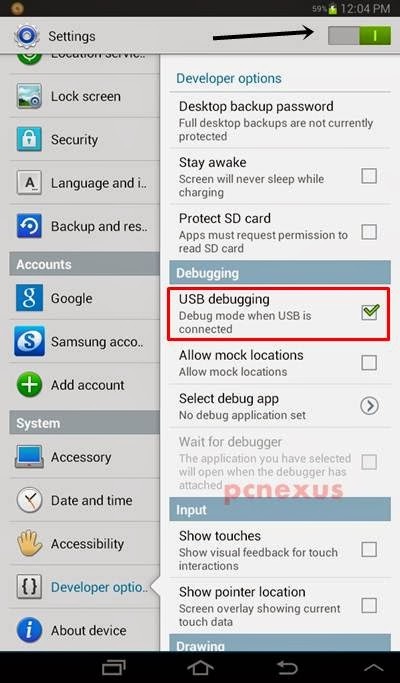 Enable USB debugging by going to 'Settings>System>Developer options>Debugging>USB debugging'. But first enable 'Developer options' by turning the slider on top right towards right. See the image below. The battery should be charged to more than 50%. To see battery percentage on galaxy tab 2 p3110 goto 'Settings>Device>Display>More settings>Display battery percentage'. The battery percentage will be visible next to battery icon. Before updating your galaxy tab 2 7.0 p3110 Wi-Fi I would like you to go through the below mentioned important points to ensure successful update of your galaxy tab 2 7.0 p3110 Wi-Fi. This tutorial is meant to be applied only on Samsung galaxy tab 2 7.0 P3110 Wi-Fi only and it should not be applied on other android phones and tablets. This tutorial will only work on carrier unlocked versions of galaxy tab 2 7.0 Wi-Fi. If your tab 2 is already rooted then after flashing with the official update you will need to re-root it again, because after update it will loose root access. If you galaxy tab 2 is not rooted then there is no need to flash a custom recovery. This process will not void your tablet's warranty and the flash counter will remain the same. If you live in UK(United Kingdom) then do not follow this tutorial unless OTA or Samsung KIES doesn't update your galaxy tab 2 7.0 Wi-Fi. WARNING : This tutorial is meant to be applied only on the carrier unlocked Wi-Fi version of the galaxy tab 2 7.0. By applying this update tutorial you are taking the damage liability that may happen if the update fails. So for any kind of damage we can't be held responsible. Do it at your own risk. Download and install Samsung KIES from the link given above. This will install all necessary android drivers on your pc. Download ODIN for windows from the link given above and extract it a separate folder. Download the android 4.2.2 update for galaxy tab 2 and extract it in a separate folder. Keep both folders on the desktop for convenience. Now switch off your tablet and again reboot it into download mode or odin mode. To reboot in download mode simply press power button and volume down button at the same time. Do not release the buttons until you see a warning screen. Then press the volume up button to enter into download mode.See the pics below. Now launch odin on your pc and connect your tablet to pc via USB cable. Wait for few seconds and let odin recognize your tablet. When your galaxy tab 2 is recognized by odin you will see '<ID:0/025> Added! !>', also the ID:COM bar will turn light blue showing you '0:[COM25]' which means that you have successfully connected your tablet to odin. Make sure that 'Auto Reboot' and 'F. Reset Time' are checked and do not check any other check-box except these two. Now put a check mark in front of 'PDA'. Click the 'PDA' button and select the file from the extracted android 4.2.2 rom folder having an extension of .md5. Click the check-box in front of 'PHONE' button and click it. Choose the file having 'modem' in its name. Its extension can be *.tar, *.md5, *.gz, *.smd, *.tgz, *.bin. Choose this option only if you find a file in the extracted folder having 'modem' name in it. Click the check-box in front of 'CSC' button and click it. Choose the file having 'csc' in its name. Click the 'PIT' button and choose the file having '.pit' extension. 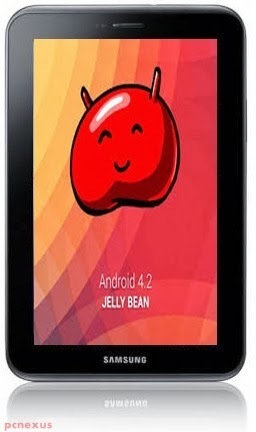 Now you are ready to flash your galaxy tab 2 7.0 p3110 with latest android 4.2.2 jellybean update. After checking everything click the 'Start' button to initiate the update process. Now wait for few minutes. After a successful update odin will return a message 'PASS' above 'ID:COM' section. Now you have successfully updated your galaxy tab 2 7.0 p3110 wi-fi to official android 4.2.2 jellybean XXDMH1 firmware. You can check it by going to 'Settings>System>About device'. Here you can check details of latest android 4.2.2 firmware like its version, kernel version and build number. If odin breaks the update process then disconnect your tablet from pc and close odin. Now reboot your tablet again in download mode as told above. Again relaunch Odin on pc. Then connect your tablet to pc and repeat the update process step-by-step. If after updating the phone you are getting some problems in galaxy tab 2 7.0 p3110 like lags,continues boot loop or the phone hangs or halts the try the following steps. Turn off the tablet and reboot into recovery mode by pressing the volume up and power buttons at the same time. 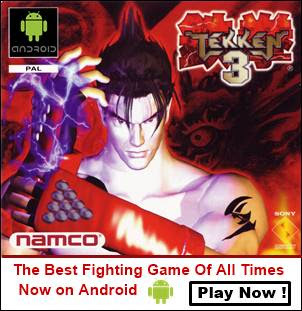 Do not release the buttons unless you see android system recovery. Now move down by pressing volume down key and select "wipe data/factory reset".Press the power button to select this option.Your device will be factory reset. Now go back and select "wipe cache partition". Now again go back and select "reboot system now". If you face any problem while updating your galaxy tab 2 7.0 P3110 then feel free to ask. Share this article if you like it. This link to the firmware is dead! Hotfile is so frustrating, are there any other servers I can download this from? The link is updated now..
Hey! I don't have any files with .pit. What can I do? there is no need of pit file. But some zip archives contain that. But I know that there is no need of pit file for tab 2 p3110. Just follow the procedure normally to update your tab 2 p3110. If you get any problem do tell me. Thanx..
now i updated from rooted 4.1.2 to 4.2.2. system data still seems to be there. when i go to about in settings it shows 4.2.2. HOWEVER, theres no developer option?!?!?!?!?!?!?!?!?!?! ok got it. in android 4.2 and higher, the 'developer options' is hidden. You have to go to about device. under which you will find BUILD NUMBER. keep taking it and then the developer option will appear. is this work on other countries like in Philippines? Yes it will work in Philippines. will this update brings screen mirroring function? Screen mirroring is not supported in Gaalxy Tab 2 p3110. Will it work in Germany? yes, it will work in Germany but for the p3110 wi-fi only model.